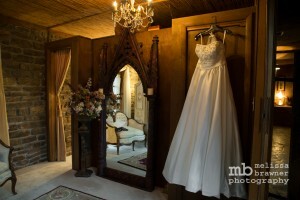 Brides may relax in the seclusion of our dressing room prior to the ceremony. With the rental of the dressing room the bride gains access to the picturesque water garden for photography. The rental rate for the dressing room is $150. 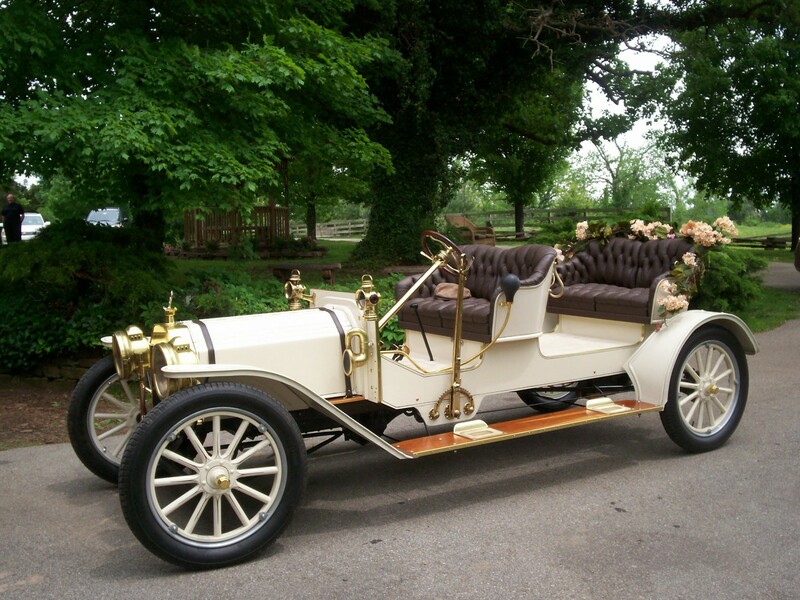 Our one of a kind 1902 Mercedes limo provides a very striking entrance for the bride on her wedding day! 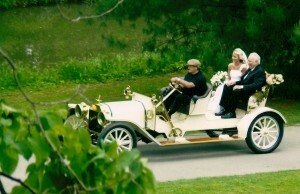 The Mercedes rental fee is $250 for a wedding. Our Toast/Receptions packages are available Creekside by the Chapel and in our rustically elegant Barn! Please see additional details under our Wedding Toast tab beneath the Services and Rates menu. 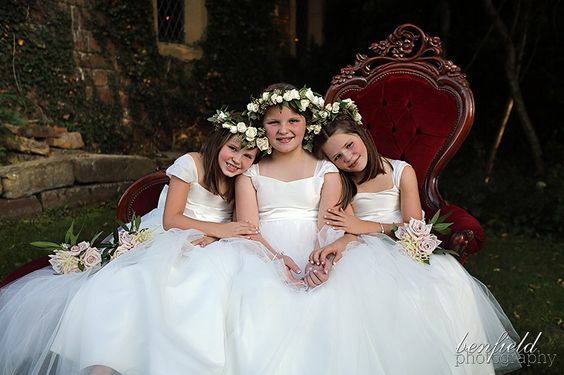 Our beautiful fainting couch is available as a prop for weddings and photography sessions. 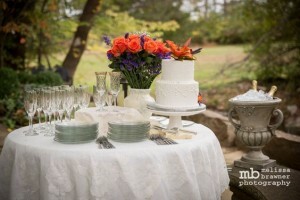 A gorgeous addition for photos! Available by reservation for a $50 rental fee. 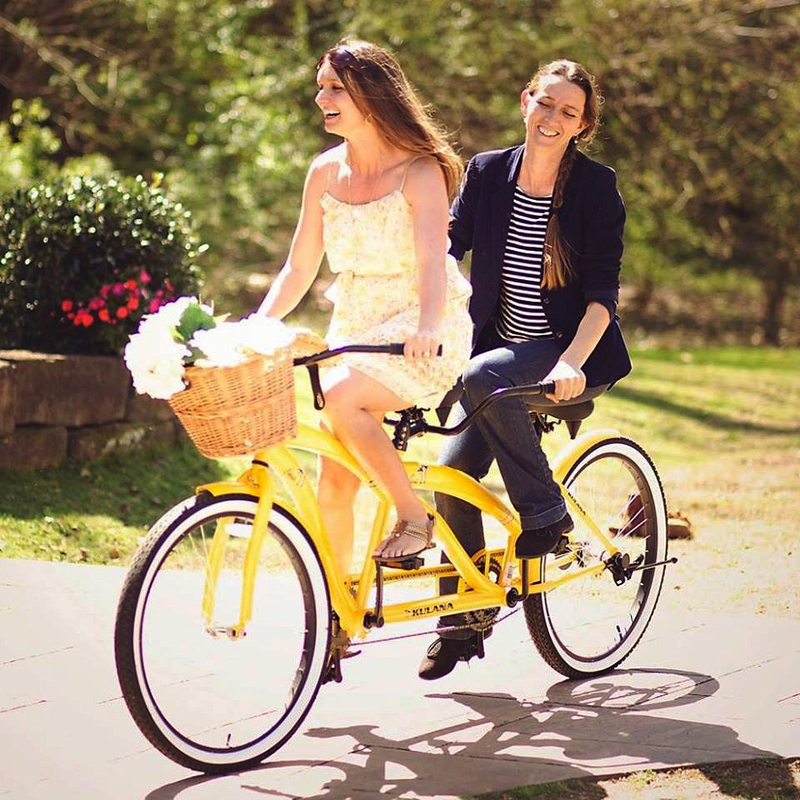 Our tandem bike is available for weddings or photography sessions. 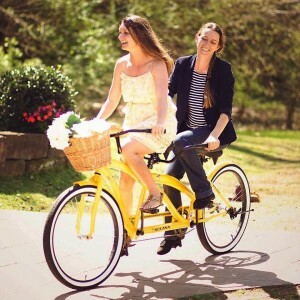 A terrific and fun addition for bride and groom photos, engagement photos or family photos! Rental fee is $25.